Originally created by Joseph Pilates, who developed the Pilates repertoire from strong personal experience in fitness, he termed Pilates as the comprehensive integration of body, mind and spirit. By exercising the deeper stabiliser muscles of the body, Pilates helps to correct muscle imbalances and identify and improve weaker areas of the body. Pilates is a low impact exercise that needs to be executed with awareness and understanding of one’s body. Our Pilates classes focus on core stability and strengthening, breathing, injury prevention, balance, flexibility and posture. Our small group classes are structured to ensure adequate explanation and supervision by one of our Biokineticists in the Pilates method. 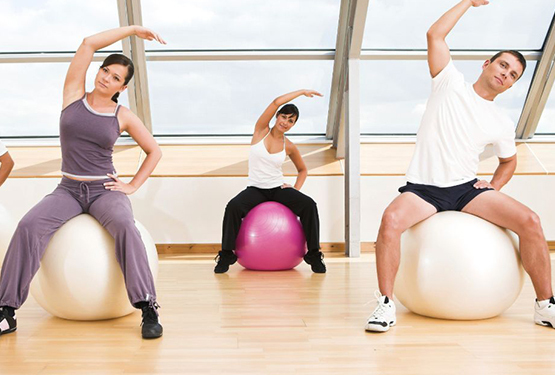 Equipment such as Pilates balls, Pilates reformers, mats, free weights, Pilates rings and therabands are used in our sessions. A common area of weakness among many of our clients is a lack of pelvic stability and deep core strength. Core strength refers to the tension in the muscles that attach to the lower back, hip and the upper part of the legs. It is important for this area to be strong and for the specific muscles to function in the correct sequence in order to support the weight of the body. Core strength becomes vital during activities such as walking and running, as well as when transmitting forces from one part of the body to another, such as when lifting something up from the ground. 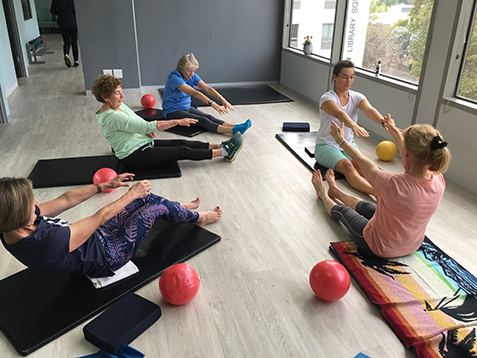 Core stability and strength is a main focus of our Pilates exercises and is often targeted through Pilates matwork, using gravity to encourage the appropriate muscles to activate. Poor posture is another common problem among many adults who either spend many hours driving or sitting in front of a computer. Pilates offers postural exercises which target muscles that activate the shoulder stabilisers as well as flexibility stretches to open the chest area. Regular participation in these classes will ensure that you’re taking an active role in improving your quality of life, while also reducing your risk of injury.